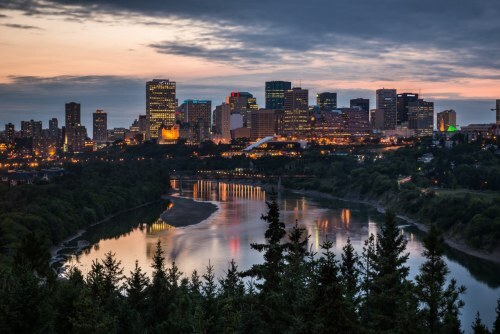 New Leaf has dropped the price of some of their flights from Abbotsford to Edmonton, Alberta down to between $88 and $98 CAD roundtrip including taxes. New Leaf has also announced they will be providing bus transportation between Surrey Central station and Abbotsford airport (both ways). The bus transportation is $15.75 each way. From Surrey Central station you can access downtown Vancouver on the SkyTrain, using the Expo line. 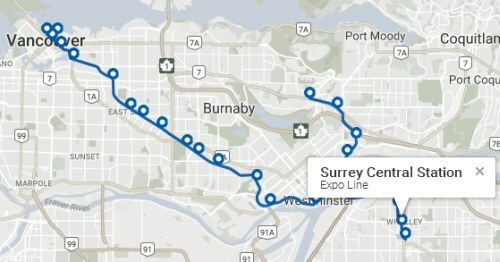 Surrey Central Station to Edmonton, Alberta (YEG) - if you *do* want the bus transportation. The prices will be higher than what is shown below, by $15.75 each way. 3. 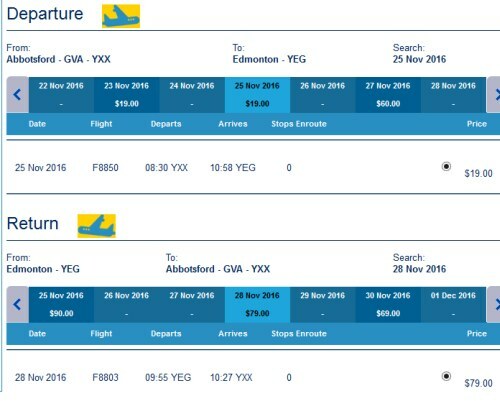 Look for the dates that are $19 from Abbotsford to Edmonton, and $69 to $79 from Edmonton to Abbotsford. 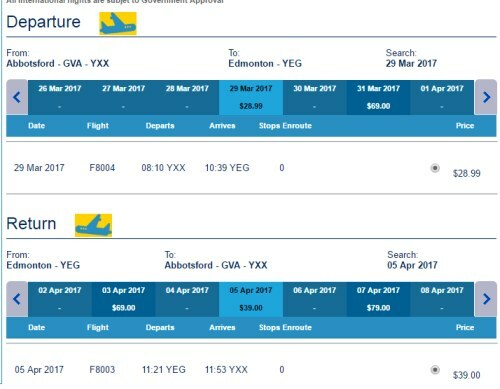 One Response to "Abbotsford to Edmonton, Alberta - $88 to $98 CAD roundtrip including taxes | bus from Surrey Central station to Abbotsford airport now available"